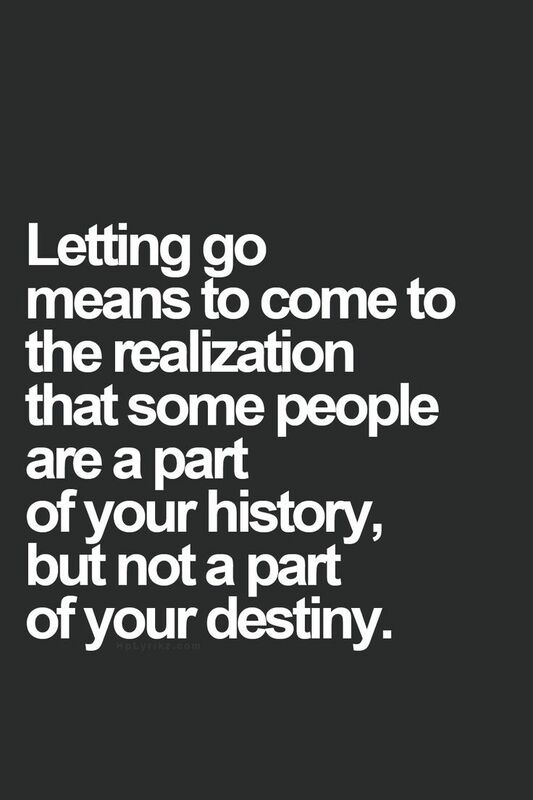 Holding on VS letting go? Sometimes letting go of a friendship feels like the right thing to do, or even at times, the only thing to do. This might happen after a falling out, or after some sudden realization that reveals that a friend, or the friendship itself, isn’t what you thought or hoped it was or would become. However, most of the time, the thought of letting a friendship go is painful, and even at times unfathomable. Most of the time it feels like unequivocally the wrong thing to do. While there is an acceptance that romantic relationships in our lives come and go, there is an unspoken and unsettling assumption that we never have to let go of friendships. You wouldn't even contemplate it.... or would you? At first it starts as a niggling feeling. You’re not too sure why, but suddenly you are not really looking forward to spending time with your friend. You may find yourself cancelling plans (or hoping she does) or claiming you are too busy to lock anything in with her right now. You feel annoyed, then guilty for feeling annoyed, if your friend messages you, even if she’s not asking for your time. When you finally do agree to spend time together, either because it has been quite a while since you saw her last, or because she has asked you so many times you ran out of plausible excuses, you dread it. When the time rolls around, seconds seem to turn into hours as time with her drags on. Conversation is stilted and you have no idea how you are going to find things to talk about for the next few hours. Sometimes you and your friend are on the same page. You both feel the awkwardness and either talk it out, or withdraw from one another almost at a synchronized pace. Sadly, it doesn’t always work that way. Sometimes your friend seems oblivious to the fact that you just don’t feel it anymore, and she is still excited by your friendship. This in itself can be just as draining as you find her to be. Now you feel guilty and like a terrible friend. A terrible person. She really likes you and for no apparent reason, you don’t like her anymore. How can you explain it when she really hasn't done anything wrong... except to say that she really hasn't done anything right either? You must be a monster, right? Wrong. If you actually think about it, you probably still do like your friend. She is a great person, and you have likely spent countless hours building the rich friendship tapestry that now exists. Sadly, just because you still like someone though, doesn’t mean you haven’t grown apart or that you still have as much in common as you used to. Having a rich history with someone isn’t a guarantee that the friendship will, or even should last the distance. It can, however, cause us to hold on a little too long, or cause resentments to build. Before that happens, you need to be honest with yourself. Do you want this person in your life in the future? If the answer is yes, then rest assured long standing friendships wax and wane through the years. Sometimes your paths cross, and you have heaps in common, while at other times they diverge leaving some space between you. The strength in these friendships being that the positive vibes between you remain the same. If you feel your friendship is going through a bit of a difficult patch, there are a few things you could try to see it through. If you usually catch up for a coffee and a chat, but find conversation is a bit strained at the moment, perhaps try going to see a movie, a concert or a show instead. Less talking is needed, and afterwards you can discuss what you just saw. If your tastes are very different, then you could try an activity you used to enjoy together such as bowling or mini golfing. Alternatively you could go to a comedy evening, a seminar or expo, park or zoo, or visit a psychic together. You could work together as a team in an escape room setting, or even just doing a jigsaw puzzle. Sometimes just injecting a little fun into the friendship is all it takes to remember how much you enjoy someone’s company. You are still spending time with your friend, even if quietly at times the activity excites you more than your friend does. If that doesn’t appeal to you, or you don’t think it will work for you, then another tactic you could try is inviting your friend to more group settings and situations. Have a dinner party with some other friends who energise you and invite your pal along too. Not only might she make friends with your friends, but they may bring out new sides of her that even you haven’t seen before? Or perhaps suggest you both join a club together. A book club, a scrapbooking or crafting club, or even some cooking or exercise classes. Things which get you together, but also in social settings with others to help lighten the mood. You might be very glad you took these steps in the future, when your friend is still in your life and you have made more memories together! If, however, you really feel like it is time to cut ties with your friend, that is ok. Don’t kid yourself that you are doing her a favour by being her friend if your heart isn’t in it anymore. You are robbing you both of the opportunity to spend time with people who you enjoy and who enjoy you. If you think a prolonged period of space between you would benefit the friendship, but you don’t want to end it entirely (essentially keeping the doors, and your options, open) then this has to be achieved mutually, gradually and with enough positivity and love to sustain the break. This will mean genuinely showing interest in your friend on a regular basis, even if you are not interested in spending time together right now. A bit like a long distance friendship. This works beautifully if both people stick to the unspoken rules, however if one person is hurt and demands explanations, or if the withdrawal is sudden and unexplained, it wont work….. In which case it might be time to walk. If it is time to walk, then have the talk. You can assure your friend that this doesn’t mean you don’t like her anymore, but that you need to move along with your life and you no longer feel there is a place for her in it right now. You can wish her well with genuine love and care, however, it will hurt – both of you. 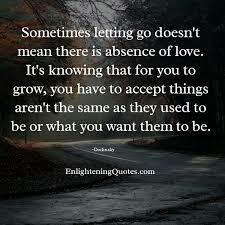 Sometimes letting go is painful, but that doesn’t mean it is wrong. It means you are growing. There is always a chance just having the talk will resolve the issue and you can find ways to reconnect together, but if not, at least you can say you tried. Newer PostFriends can break your heart too. Older PostWhen your partner doesn’t like your friends, or you having friends at all!